J.R. Celski has quickly become the face of short track speed skating for the United States. The three-time Olympian is a world record holder and gives a lot of credit for his success to his two older brothers and his parents. 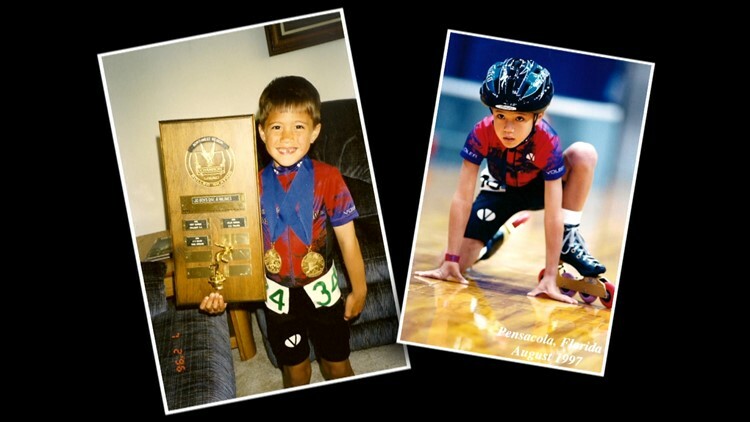 J.R.'s mom, Sue, has been there for his entire Olympic journey, which started way back at the age of three years old with a pair of playskool roller skates. Sue says J.R. became hooked on skating after her husband, Bob, took J.R. and his older brothers skating one day. JR Celski's mom says the world record holder became hooked on skating after his dad took JR and his older brothers skating one day. 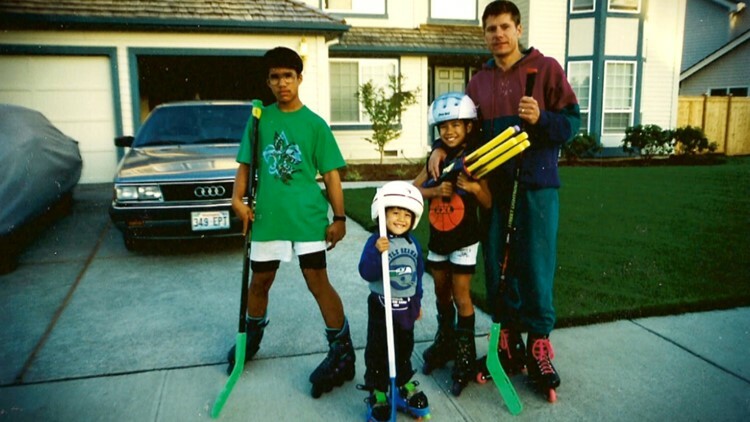 In this family photo JR is wearing his first pair of skates, from playschool. "I remember getting this phone call at work and this little guy J.R. is like, 'Mommy we're going to be on the speed skating team at Pattison's West and were all going to skate and daddy too,' and I'm like, 'OK JR, whats even speed skating," Sue recalled. It didn't take long for Sue to learn about speed skating because J.R. excelled in the sport right away. Bob Celski remembers then seeing early on that J.R. just had a knack for the sport. "He had something in him that was different than everyone else," Bob described. After numerous inline skating titles, J.R. decided to make the switch to ice after watching the 2002 Olympics. US Olympian JR Celski quickly excelled at inline speed skating. "He's like, I want to do that, I want to skate ice, I said, 'OK JR,'" Sue explained. "I remember having a conversation with my parents before I dove into this journey of ice skating," J.R. recalled, "about me wanting to go and pursue my dreams and goals of going to the Olympics, they never once said to me, no it's not possible." JR Celski, 27, has become the face of short track speed skating for Team USA. J.R. trained and lived in California for many of his teenage years, while his mom and dad worked back in Washington. "He left us at 13 and people are like, 'how do you let your 13 year old go,' I said, 'I didn't let him go, he's down there, but I will never let him go,' we had to give him that opportunity to do this," Sue explains. "The family dynamic has a lot to do with how successful an athlete is, so at the end of the day I've been blessed to have a family that supports me," J.R. said. Despite the distance, Sue and Bob haven't missed many races. From the beginning Sue has always been on the sidelines with a camcorder in hand. JR Celski's parents haven't missed many of his short track speed skating races and his mom has the video to prove it. Sue is always on the sidelines with a camcording in hand recording the action. "I will tell you every step J.R. has ever taken on the rink whether it was on ice or in line she has it on a tape some where and we have boxes and boxes of it," Bob Celski explained. "There are not enough words to describe how proud we are of him," Sue said.